Moscow former Mayor Yury Luzhkov, who was sacked on Tuesday by Russian President Dmitry Medvedev, gave an interview to the Russian magazine New Times in which he said he is not planning to appeal his decision in court. Earlier the Interfax news agency quoted Luzhkov’s close friend and popular Russian crooner, Joseph Kobzon, as saying that the ex-mayor told Kobzon about his plans to appeal the dismissal. Despite being expelled from the Communist Party for his support of Israel, Kobzon rose to fame as a singer in Soviet times and had a very successful career on stage. After perestroika he pursued a political career and became State Duma deputy with the United Russia party. Kobzon has been denied an entry visa to the United States at least twice and, despite the State Department offering no official explanation, the media speculated that this was due to his mob connections. Kobzon also said that he tried to explain the pointlessness of such a measure to Luzhkov, but foresaw that “as a man of principles he will probably stand his ground.” Luzhkov is not going to leave Russia “even if criminal cases will be appealed against him or his entourage and the pressure will continue”, the singer added. The ex-mayor certainly will work actively, the artist said. “Time will show whether it will be political activity or business,” Kobzon said. 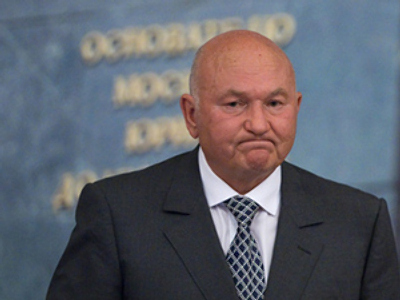 Earlier on air at a radio station, the chairman of the Moscow State Council claimed that Luzhkov has the right to appeal against his dismissal in the High Court within 10 days. The court will then have another 10 days to pass a verdict. Gazeta.ru quotes lawyer Vadim Prokhorov, who said that according to the law, the process can take place only if the person whose activities are litigated is in the court. That means President Dmitry Medvedev would have to take part in the hearings. In any case, such a lawsuit is unlikely to be successful. According to the law, the president has right to sack governors “over loss of confidence.” And he does not need to explain the reasons.